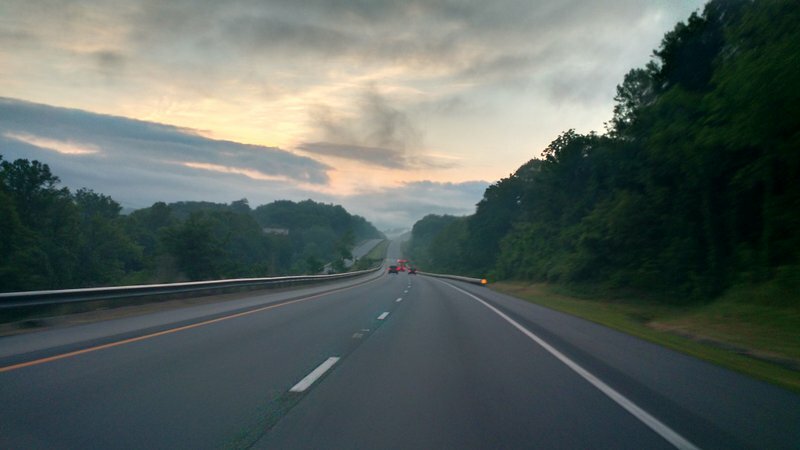 On my way this morning to FDIM and the 2016 Dayton Hamvention. Since I own the Elecraft KX3, Elecraft K2 and the Elecraft KX1, I’m excited to see that Elecraft has announced a new addition to their product line: the Elecraft KX2. Elecraft will feature the KX2 at Four Days In May (FDIM) and the Dayton Hamvention. I am attending vendor’s night at FDIM and the full Dayton Hamvention. I will post photos of the KX2 here–follow updates by bookmarking the tag KX2. We are please to announce a new radio to complement the KX3 and the KX-Line. Here are the details. Elecraft is excited to announce a new radio targeting the Ultra-portable market with a Fit-In-Your-Pocket size. Please see the attached brochure for details. – Options and accessories: Please see the table below for pricing. Also see the FAQ for details. 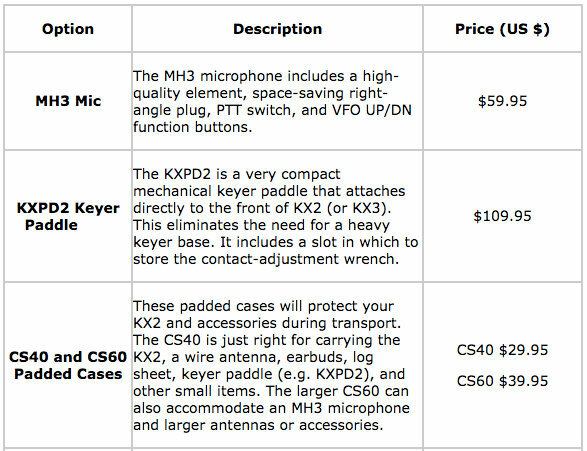 Distributors are encouraged to order both the KX2 and accessories now. The KX2 is already in production and early ordering will ensure your position for deliveries. Note that the KX2 will be available in full, factory-built form only. There will be 2 internally-installed options available immediately. See the FAQ for more details. – The attached brochure in editable form for you to translate and convert to local printing formats. 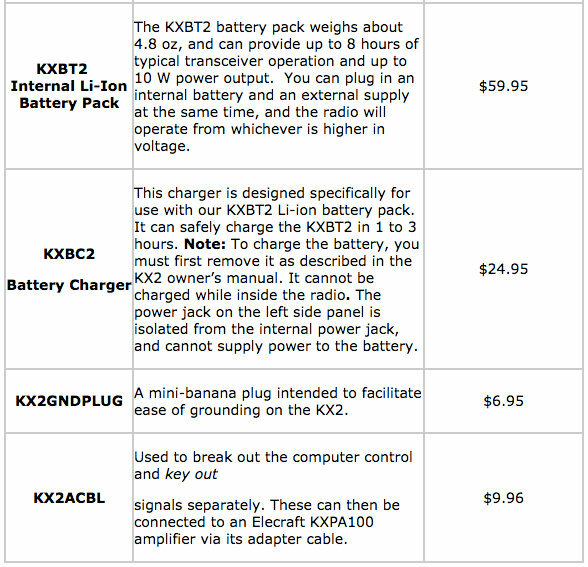 – Elecraft will be stocking the KXBT2 (Li-ion Battery) and the KXBC2 (Li-ion Charger) for your to order. – Please see the attached document, KX2 Battery info v1.0, with the details. Along with many of the Elecraft team, I’ll be in Dayton to launch the KX2 but will be able to answer questions as needed. Again, we are excited to offer you increased business opportunities with the KX2 launch! 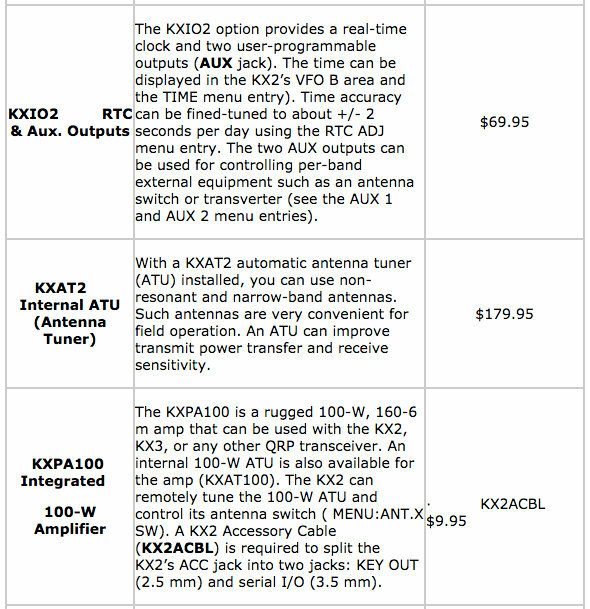 This entry was posted in Announcements, Hamvention, News, Portable, Product Announcements and tagged Elecraft KX2, KX2. Bookmark the permalink.